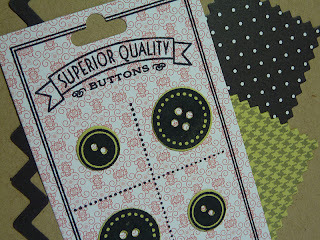 I bought the Papertrey Ink Button Boutique stamp set last year, and I really should pull it out more often. It's so fun to play with it and the coordinating dies! I cut the button card out of PTI's Pink Patterns patterned paper, using my Cuttlebug. The buttons are cut out of PTI's Spring Moss cardstock and stamped with black ink. For the little swatches of "fabric," I made one with polka dotted patterned paper from PTI's 2009 Bitty Dot Basics Patterned Paper and the other by stamping the houndstooth pattern from My Creative Time's Build a Banner Kit in gray ink on the Spring Moss cardstock. The rick rack was created with the ekSuccess Zig Zag border punch. This sentiment from My Creative Time's Home Sewn stamp set was the perfect match! Wow, Katie, this card is fabulous! It is so realistic! Great work! yes Katie, this SEW CUTE! I hope you're enjoying your new machine too! I love this! I've been trying to convince myself that I don't need that set, but I think I do! 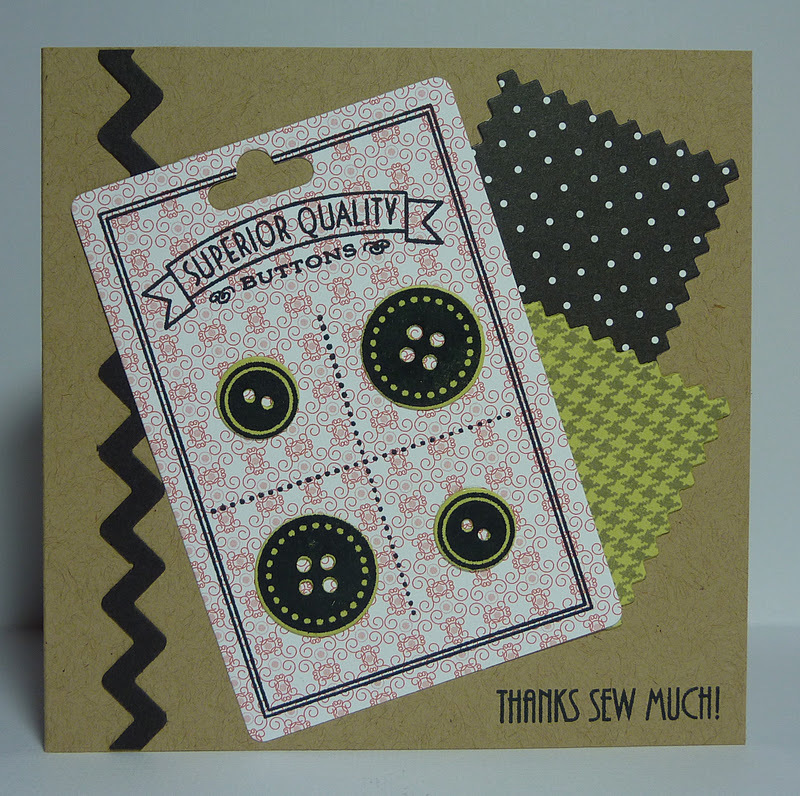 Great card, love the faux fabric swatches. Katie this is sew cute! You did an awesome job! okay this is so darn cute too! Love the sentiment.. matches perfectly! I actually had to get up to see if I have that die ~ yep i do! I need to use it! Thanks for the inspiration!